If Colorado gets frigidly cold in January and February, with temperatures well below zero, we have great music entertainment to get close in and soak in that body heat. A now decade old tradition in Boulder is cozying up at the Boulder Theater for George Porter Jr. and Kyle Hollingsworth’s Pearl Street AllStars Jam. 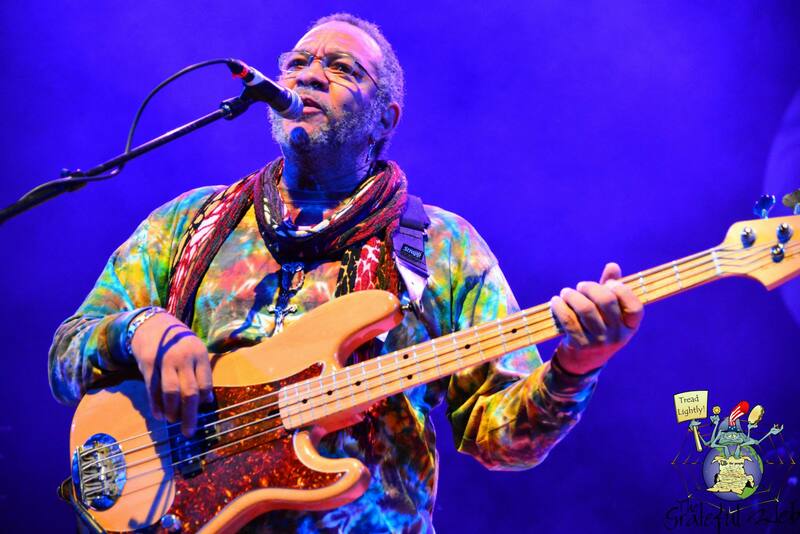 Porter is a legendary stalwart of the funk community, starting decades ago as the bassist of the original funk band The Meters, he is generally considered a founding father of funk and the hardest working musician in New Orleans. Hollingsworth is a gifted piano/synthesizer wizard best known as a member of Colorado’s String Cheese Incident. The two started the Pearl Street AllStars jam over a decade ago as collaboration with Boulder’s Mountain Sun Brewery. The band has rotated over the years featuring fantastic local and nationally known players that emphasize with the funk movement. This year the band played a long two set throw-down with crowd members enjoying 4$ pints of Mountain Sun Beer. All proceeds benefited KGNU Community Radio out of Boulder and Denver. The band this year could have been the best lineup to date. Aside Porter and Hollingsworth was John Staten, drummer of Karl Denson’s Tiny Universe, Dennis Marion, trumpeter of Mofro, sax-man Johnathan Lee Stewart, Adam Smirnoff, guitar genius of Lettuce, and featuring Kim Dawson on vocals. Dawson in particular has collaborated with Porter in his Running Pardners Band and is a local’s favorite. This year in particular was special since it was celebrating the 20th Anniversary of Mountain Sun, a Brewery that has since grown through grassroots support, opening three other restaurant/brewpubs with a new location in the works. To kick off the show the owners of the Breweries came out to give a shout out to their staff and introduce the band. The sets were an impressive variety of funk standards, Porter and Hollingsworth originals, and some great-improvised jams in between. The band came out to a full-house howl of enthusiasm, no doubt many of them from Southern/Mountain Sun Brewery restaurants. Kyle Hollingsworth recounted that this jam was now well over a decade old before launching into the funk standard “Play It Back.” After a long jam workout George Porter Jr. introduced vocalist Kim Dawson, who has built her impressive career through the Denver live music scene. She led the band through “Funkier Than A Mosquito’s Tweeter” punched up by the Marion and Stewart horn section. Next came the Funkadelic standard “Yes We Can” followed by String Cheese Incident’s original “Let’s Go Outside.” Interestingly enough, Hollingsworth’s original fit perfectly into the old-school funk cannon and probably had much of the crowd thinking it was a song from the 70s. After a solid hour and a half of jamming, the band took a set break. Old friends caught up, and Mountain Sun brew continued to pour strong. The second set upped the energy level even more. Highlights included a Bootsy Collins cover of “Stretch Your Rubber Band” and the classic Meters cover of “Iko Iko” with Porter guiding the AllStars through several funky changes. Kim Dawson closed the second set with an impressive rendering of CSNY’s “Love the One Your With.” It’s really great to hear classic rock songs reinterpreted with a funkified makeover. It really worked well. The encore saw the band jamming “Turn on Your Lovelight” much to the Boulder crowd’s delight. 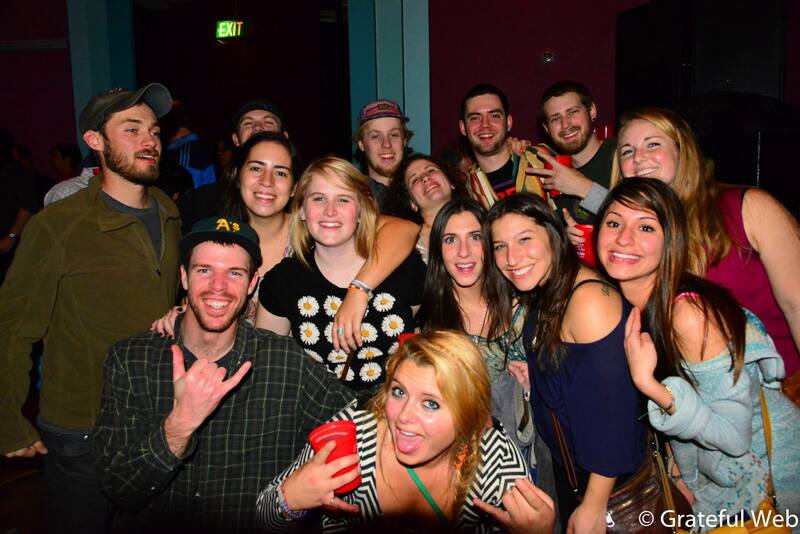 This was one of those nights where the crowd, the band, and the venue all brought it together in an incredible collaborative effort to raise money for essential community radio. The Boulder music scene has always supported its locals and it’s wonderful that Porter feels connected enough to join us year after year to support our community. Thanks to Hollingsworth, Porter, Dawson and the band for a real good time. With a sold out crowd, KGNU should be receiving some solid support from the event. Let’s keep it going for years to come.